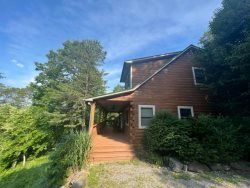 Mountain Aire - Abundant Forest Wraps This Log Cabin in Privacy - Less than 10 Minutes from Town, but with Such An Amazing View, Fire Pit, Picnic Area & Wi-Fi - You Won't Want to Leave! Harrah's Cherokee is more than just a casino! With gourmet restaurants like Brio Tuscan Grille and Ruth's Chris Steak House, Harrah's offers a wide variety of restaurants to accommodate every budget. Frequent concerts and shows feature big names like Celtic Woman, Greg Allman, and The Moody Blues. Our vacation cabin rentals are conveniently located near the casino, making it easy to catch the evening show or go out to dinner. Come home to a steaming hot tub, a warm fire, or a beautiful view of the sunset. We can accommodate large groups and even pets. Amenities such as fully equipped kitchens and spacious layouts make it easy to vacation. Sun Eagle Lodge - Spectacular View - Loaded with Stylish Amenities and Relaxation. Peaceful with Hot Tub, Wi-Fi and Grill. The Perfect Escape!